Admit it—by simply hearing that phrase, you already have this urge to relish a pack of crunchy and flavorful chicharon! Among the list of amazing Filipino dishes that we all love to enjoy, it is no secret that chicharon is right up there on the list. Take a bite of SLERS Chicharon and you’ll definitely know what thousands of fellow Pinoys mean when they say it’s their favorite snack. It’s not just crunchy and delicious; it’s one powerful appetizer! For tourists who aren’t familiar with chicharon, the food is also known as pork crackling or pork rind; it basically consists of fried pork belly or pork skin. This dish, which is extremely popular in the Philippines, is actually a culinary influence from Spain. Spelled as chicharrón, the dish is a famous appetizer in other countries with Spanish influence including Mexico, Panama, Chile, Colombia, Ecuador, Venezuela, Peru, and Guatemala. One of the common reasons why chicharon is well-loved by Filipinos is because it’s affordable and its worth is more than its price. For only 20 to 30 pesos, you can already enjoy eating this crunchy food when hanging out with your friend, enjoying inuman season (it’s actually a well-known pulutan for mahabang-habang usapan). And not just that, you can even enjoy eating it during long and tiring travels; when you are studying for major exams, or when you are just really hungry. It’s More Than Just a Snack! It may be a regular pulutan or snack in the Philippines, but it is more than just that. Chicharon can actually be used as an ingredient in several Filipino dishes to add crunchiness and flavor to them. Among the most common dishes added with chicharon are palabok and ginisang monggo. And not just that, SLERS has also come up with a unique rice meal, which they call Chicharice. As its name implies, this meal is basically a combination of fried rice and SLERS’ famous chicharon. You can try this dish at SLERS Café for only PHP 90.00 including drinks! Chicharon has plenty of variety that you can choose from. There’s chicharon with laman (pork rind with meat attached to it), chicharon bilog (made from pork belly skin), chicharon bituka (deep-fried large intestines of pork), ground chicharon, chicharon bulaklak (made from intestine railings of pork), and a lot more. And besides the classic chicharon made from pork, Filipinos have come up with unique varieties including chicha-rabao (crispy chicharon made from carabao skin), bacon chicharon, baked chicharon, buffalo chicken skin chicharon, fish chicharon, squid chicharon, and chicken chicharon. See? Your chicharon choices are unlimited! Chicharon is no doubt comfort food; it makes conversation fun, and turns the mood vibrant. Not just that, for Filipinos who are working abroad, a pack of chicharon is more than enough to alleviate their homesickness. If you have relatives, friends, or family members working abroad who are coming home, spoil them with the best chicharon in the city, and that’s none other than SLERS’. OFWs are always excited to enjoy Pinoy food, so it’s only sensible that you treat them with chicharon too! A lot of Pinoys love their chicharon with sawsawan. It brings outs the flavor of the chicharon and makes it more fun to eat. To make a classic vinegar sawsawan, mix together 1/4 cup of white vinegar, 1/8 teaspoon table salt, 1/4 teaspoon white sugar, and 1 clove of crushed garlic. If you want to make the sawsawan spicy, add red chili and a pinch of pepper. What makes SLERS chicharon a great food to enjoy is that you have free rein on how you want to eat it. You want it sour? There’s vinegar sauce you can make as sawsawan. You want it spicy? Make your sawsawan spicy. You can even eat it anytime you want and pair it with almost anything, like your hot bowl of lomi or a cold bottle of beer. Your choice. Have fun with your pack of chicharon! If you haven’t read it yet, here’s our guide to having a memorable summer vacation. Don’t forget to like SLERS on Facebook & follow us on Instagram for more updates on your newsfeed. Before becoming a household name, SLERS started as a personal hobby of Ofelia Cosin Pelaez, or “Fely” as she is known to her friends and family. In 1969, Fely learned to make traditional smoked country hams in her home in Bukidnon. Soon after, friends and family began buying her hams for Christmas dinners. The house where the first ham was made in 1969. Fely’s American-style ham became so popular that it quickly transformed from a simple hobby of a school teacher to a cottage industry, and eventually a family business that has become synonymous with high-quality hams and other meat products. The name SLERS is actually an acronym of the nicknames of all five of Fely’s children; Shirley, Litlit, Earl, Ray, and Sharon. It was in 1987 when Fely and her husband moved to Cagayan de Oro to retire and Fely’s daughter, Litlit, or Mercedes Pelaez Mejia, took over the business. By the late 80s, SLERS began offering more than just American-style hams. With Litlit at the helm, SLERS started producing more diverse products, which began with the introduction of the SLERS Tocino, even though her mom Fely was initially against the idea. Today, SLERS is one of the most successful family-owned companies in the country, offering a diverse menu, from their flagship ham, Jamon Cagayan de Oro, to a wide range of food products including pork barbecue, Tocino de Cagayan, fresh native chorizo, beef pastrami, smoked country bacon, and longganisa de Cagayan. For meat lovers who want to try the different SLERS products without having to buy an entire pack of smoked ham or a whole kilo of tocino, they offer the SLERS Express Meals diner. The place to go if you want to check out their high-quality food products or simply want to grab a bite of your favorite traditional Filipino meal. The diner offers a great selection of different meat products prepared just the way you like it. Apart from the quality, SLERS is also known for the reasonable prices of their meat products. The express meal diner continues the tradition of providing topnotch food at affordable prices. Their student-friendly meals are among the most popular, since a large chunk of the diner’s clientele, and even their food stalls, are students. Hamdesal Sandwich – A popular item on the menu, the hamdesal sandwich is a delicious treat, combining the pandesal—a classic Filipino favorite—with a slice of SLERS sweet ham and fresh lettuce. It’s the perfect affordable meal for someone on the go. Grilled Pork Belly – For any meat lover, the pork belly is one of the most beloved hog parts. You add SLERS’ time-tested preparation and cooking techniques in the mix, and you have a delicious and satisfying meal that’s not too heavy on the wallet. Ham and Cheese Sandwich – A classic combo. SLERS quality ham and cheese stuffed in bread, is there anything else better? Tocino Meal – Before Litlit first introduced the tocino back in the day, sweet meat was virtually unheard of in CDO. Today, it’s one of the most popular meat products among Kagay-anons, especially when it’s from SLERS. Chicharice – Kagay-anons are among the biggest fans of SLERS chicharon, another creation that has made SLERS a truly multi-product business. And one of the reasons why it’s so popular is because it’s more than just a snack. SLERS chicharon is just as good, if not better, as a meal by pairing it with fried rice. Those are just a few of the offerings you can find at the SLERS express meal diner. In addition, they also offer a couple of equally tasty desserts at very affordable prices; the coco banana flan and the buko pandan. You can check out these delicious and affordable meals in one of two locations; at the ground floor of Gaisano City, along Corrales Ave. and at the South Bank Plaza Bldg., along the corner of Velez and Yacapin Streets. So what are you waiting for? Call you friends and head over to SLERS Express Meals and fill your tummies with amazing dishes that are masterfully created and perfected by SLERS since 1969. The holiday ham is one of the mainstays of the Pinoy Noche Buena. Every year, when Filipino families gather for their Christmas feast, the holiday ham is likely to be part of the main fare. There is indeed good reason for ham being a holiday favorite. It is common for families to prepare a lot of food for Noche Buena. The good thing about ham is that it barely needs cooking and it can be served to a good number of people. And when we talk about holiday hams in the Philippines, the hams of Cagayan de Oro are among the most popular and well-loved all over the country. Of course, a favorite of Kagay-anons is the holiday ham that started it all in the first place—SLERS ham. One of the best things about SLERS ham, aside from the fact that it is really flavorful and mouthwateringly delicious, is that there are a good number of options for you to choose from. This means you can still get to enjoy your Christmas ham even when you only have a small budget to work with. You could say this is THE ham that started it all. Cured the old-fashioned way and then traditionally smoked before being cooked with fresh pineapple, this is the flagship product of SLERS and a favorite among ham lovers since 1969. This is cured and flavored in the same way as Jamon Cagayan de Oro, but it is a smaller leg of ham trimmed from pork shoulder with the skin on and the bone in. Perfect for smaller family gatherings. This is a pear-shaped ham that is lightly spiced so as to bring out just the right kind of sweetness you want in your ham. If you’re having Noche Buena with just your immediate family, this could be the perfect ham for you. A mildly cured ham that has been naturally smoked and then grilled to perfection, this is the ideal ham for those who are on a budget but don’t want to miss out on good food for Noche Buena. Christmas will be here before we know it. It is best to start planning your Noche Buena menu as early as now, and SLERS ham definitely should be on it. Pork cracklings, better known as chicharon, is one of the favorite snack items of Pinoys. And when you’re in Cagayan de Oro, it’s safe to say that SLERS is one of your favorite brands of chicharon. Now, did you know that there are more than one ways for you to enjoy this crunchy treat? Yes, it’s fun enough to just open the package and dig in, but wouldn’t it be a lot more exciting to try different ways of savoring this all-time favorite? Allow us to tell you how you can make your SLERS chicharon experience even better. Filipinos are not only chicharon lovers, but also avid rice eaters. Why not sit down and savor both? If you’ve never tried this before, you’ll be surprised at just how good chicharon is when you eat it as a viand, especially if you dip it in delicious vinegar and eat kamayan style. Yum! Most Pinoys also love batchoy, especially during cool weather. There’s just something about sipping clear soup and slowly feeling your stomach getting warmed that makes the experience worthwhile. And the contentment such experience brings is amplified when you top your batchoy with your favorite SLERS chicharon. The crunchy and meaty goodness of SLERS chicharon is a perfect complement to the soft and flavorful goodness of the batchoy noodles and warm soup. Whether you eat it as a snack or meal, chicharon-topped batchoy is satisfyingly filling. Have you tried cooking calamares before? What did you use for breading? In most cases, people use a flour and breadcrumbs mixture as breading for calamares. But you can actually make your calamares more flavorful and fun by using crushed SLERS chicharon instead of breadcrumbs. Try it! We promise you won’t regret the decision. Can you think of any other way to enjoy your favorite SLERS chicharon? If you do, then good for you! Your favorite treats certainly become more fun to eat when you can experiment with it, right? We’d appreciate it if you could share your SLERS chicharon inventions with us, too. Bacon is one food many people admit to not being able to live without. 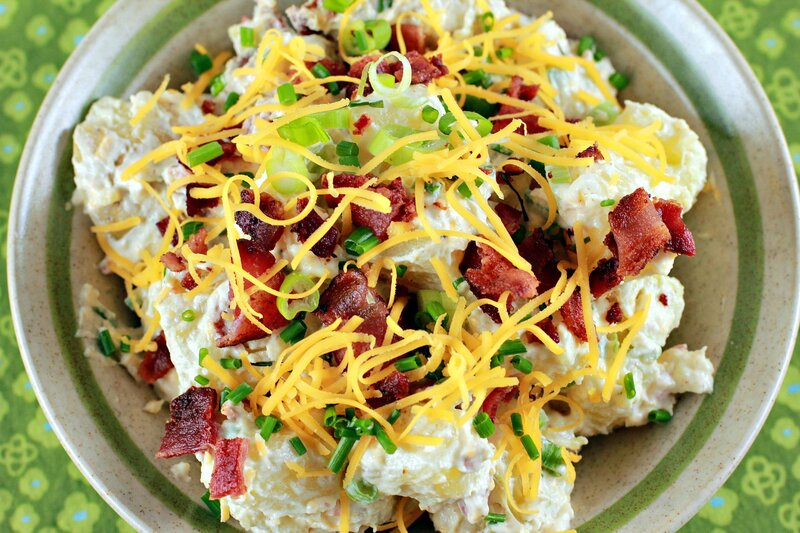 If you, too, are a bacon lover, then you would surely appreciate the following recipes that use bacon bits. No matter how much you love a particular food, it can get boring if it’s prepared in the same way every single time. So give one or more of these recipes a try! 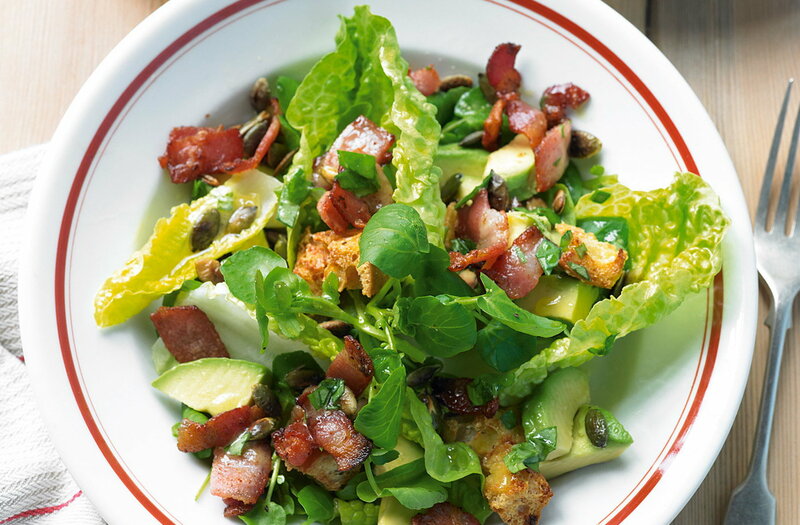 Mix your favorite fresh greens with sliced avocado and then top with bacon bits. You may also add shaved parmesan cheese to it and a dressing of plain yogurt, Dijon mustard, green onions, agave nectar, and apple cider vinegar. Mix tomatoes (preferably cherry tomatoes) with romaine lettuce and then top with parmesan-bacon crisps. Prepare the parmesan-bacon crisps by combining bacon bits and parmesan cheese, and then baking the mixture until golden brown. You may top the salad with a dressing of anchovies, olive oil, lemon juice, garlic, and Worcestershire sauce. Mix watermelon slices, halved strawberries, halved cherry tomatoes, thinly-sliced cucumber, cubed feta cheese, mint leaves, chopped spring onions, olive oil, and red wine vinegar together. Add salt and pepper to taste, and then top with crispy fried smoked bacon bits. This recipe is similar to a carbonara, but is creamier and less eggy. The beauty of this recipe lies in the fact that after making the white sauce, you can add ingredients based on what you can find in your kitchen. 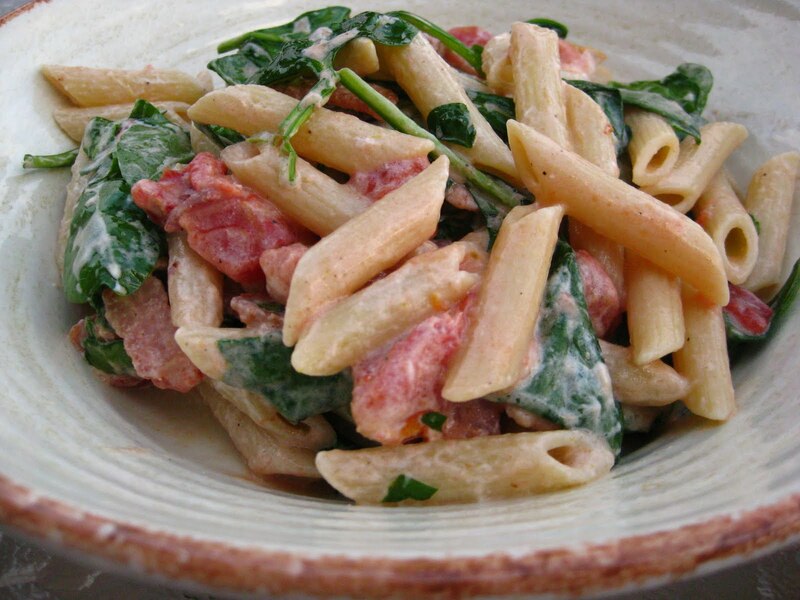 This is one pasta dish you can prepare in a cinch. Just caramelize some onions, fry your bacon, cook the pasta, sauté the squash, slice some basil, and then throw them all together (seasoned to taste), along with some goat cheese. This is another recipe that’s ideal for times when you only have under an hour to prepare something delicious for your loved ones. Simply put a pot of water on to boil and then cook your bacon until golden brown. Add chopped onion and peppers, garlic, tomatoes, salt, and red pepper flakes. While the sauce simmers, cook the pasta in the now-boiling water. Add ricotta cheese to the sauce before spooning it onto the cooked and drained pasta. Grilled corn is a common sight in our markets and a popular treat, especially among children. You can tweak it a little and serve it during a weekend get-together with family and friends. 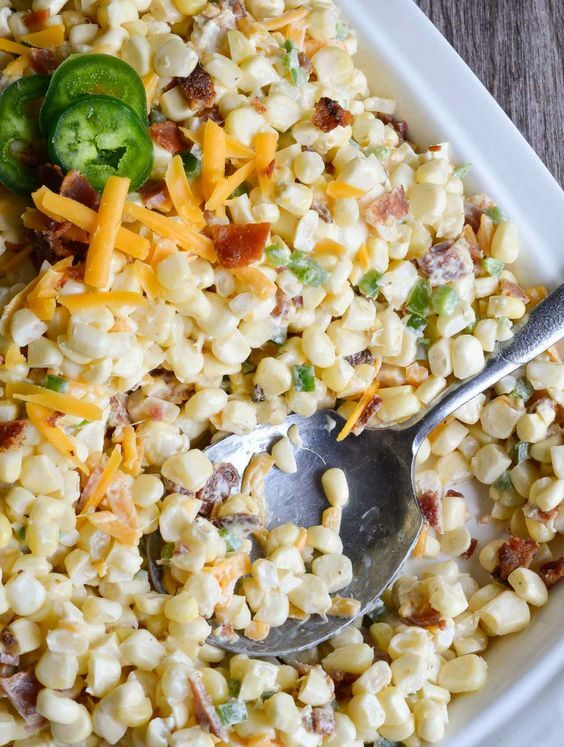 Simply brush the grilled corn with mayonnaise and then roll it in crispy fried and finely crumbled bacon. You may also sprinkle it with chili powder for added bite and serve with lime wedges for a more tropical appeal. This is a simple yet mouthwateringly delicious treat to prepare. Just prepare buttermilk pancake batter and then stir crispy fried bacon bits into the batter. Lightly grease a skillet and then cook the pancake in batches over medium heat. Once cooked, you may top your pancakes with fresh berries and serve them with maple syrup. Onion isn’t something many people appreciate, but when paired with bacon and prepared in this manner, you’ll be sure to give it some consideration. Spread softened cream cheese on French baguette slices and then top with grilled onions (thinly sliced) and crispy fried bacon bits. Sprinkle chopped thyme leaves on top, and then add pepper to taste. Of course, the easiest way to enjoy your favorite bacon is simply to fry it and then serve with toast or rice. But if you’re in the mood for a little creativity and you want to enjoy a classic foodie favorite in interesting ways, then why not try any of the recipes mentioned above? Food is as much an experience as it is a necessity for our health and nourishment. This is why it is often a good idea to learn new ways of preparing old favorites. And with bacon, you can never go wrong! It’s back-to-school time! This means you will once again have to prepare your kids’ baon every day. Of course, you could simply give your kids some money so they can buy food from the school canteen. But how can you be sure they’ll choose healthy snacks? If you want to make sure, then it’s best that you prepare their baon instead. If your kids only require light snacks, then they could snack on a pack of regular chicharon. The crunchy goodness of this treat will make them feel like they’re enjoying chips, but you are assured they’re eating something healthier. If your kids’ normal school activities call for heavy snacks/light meal, then you may want to prepare your own version of the SLERS chicharice simply by packing rice in a lunch box and then topping it with SLERS chicharon special. Chicharon special has bits of meat in it (unlike regular chicharon, which is purely pork rind), making it a simple yet delicious viand. If your children have more adventurous taste buds, you may even want to give them fiery chicharon, which will surely add some zing to their baon. And here’s some wonderful news for you: SLERS currently has a 3-for-100 promo for their chicharon! Everybody loves bacon, right? So your kids will be sure to appreciate having bacon for their baon. You could simply pack bacon and rice in a lunch box or prepare a quick bacon-and-egg sandwich. But if you want to make your kids’ baon more interesting, why not prepare bacon and cheese strata? It is easy enough to find a recipe online, and the dish is easy enough to prepare. The good thing about bacon is not only that kids love them, but also that you can prepare it in so many delicious ways. This is another delicious food item that goes well with steamed rice. It also goes well with another Pinoy favorite—sinangag (fried rice). And while pork tocino may not be as versatile as bacon as far as recipes go, that doesn’t mean you’re left with no choice but to pack it in a lunch box with rice. There are still a few ways you can make your children’s tocino baon more interesting. For example, you could prepare Vietnamese spring roll and make it extra special by throwing in strips of cooked tocino. This is an especially good idea if you want to encourage your children to eat vegetables. The easiest way to prepare these delicious cold cuts is, of course, to slap them onto pieces of bread for a sandwich or, again, to pack them in a lunch box with steamed rice. But if you want to make snack time more fun for your kids, take some time to prepare something attractive, but still healthy and yummy. One suggestion would be for you to make pinwheel bites, which simply requires flattening a few slices of wheat bread, topping it with mayonnaise, ham, and cheese, and then rolling it up and cutting it into bite-size pieces. Done! Children love burgers. Well, you can make your own version with the SLERS chicken loaf. Since these cold cuts are shaped in circular slices, you could buy burger buns and simply slap on a slice of chicken loaf and cheese for a healthy sandwich. You may add mayonnaise and ketchup if your kids like them so they’ll feel like they’re really eating a hamburger, only healthier and a lot tastier. And just like the other meat products offered by SLERS, this makes for a delicious viand as well, so you can serve it with rice if you want. With the mouthwatering fare offered by SLERS Industries, you can make sure your children eat healthy snacks whether at home or in school. For light snacks they can munch on during break time, SLERS also offers banana chips and peanuts. The wide variety of options offered by SLERS helps ensure that you’ll never run out of ideas where your kids’ healthy snacks are concerned. What Makes SLERS Chicharon a Household Favorite? © 2015 SLERS. All rights reserved.